very tasty south indian preparation.add your comments. Heat oil in a Pan and fry mustard seeds, fennel seeds, chopped onions, dry red chillies,chopped tomato and chopped curry leaves . Put chilli powder, dhania powder, jeera powder, turmeric powder, pepper powder, ginger-garlic paste, needed salt, onion paste and tomato paste one by one in order and saute well. 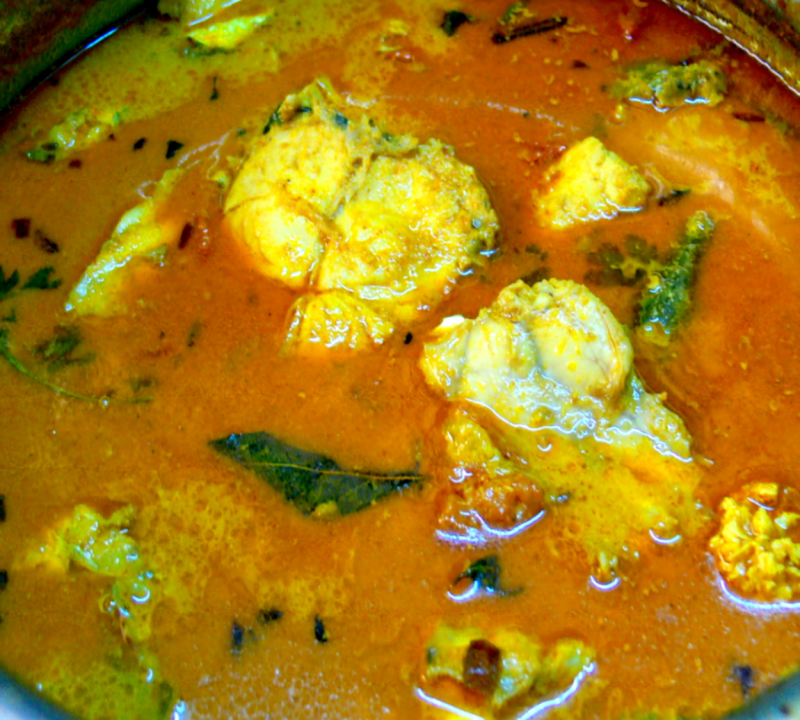 Put Fish Pieces next and mix them well in the masala and pour 3 cups of water and close the lid of the pan. Cook it for 10 minutes .Then remove the lid and put coconut paste and cook for 5 mins . add chopped coriander leaves and cook for 2 minutes. that's all. yes,Ashwin you can but fresh coconut(grated) is better. Coconut paste? Can I use dried coconut flakes wet grinded in a food proceser? Add thick tamarind pulp - of 2 cm size tamarind 3 mins before adding coconut paste .if u add tamarind pulp,then don't add ginger garlic paste.this tastes gr8.